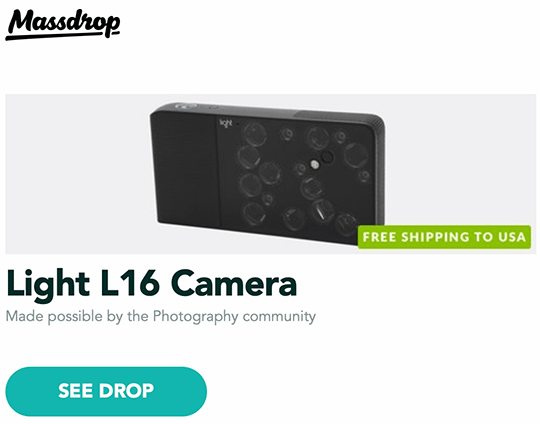 The Light L16 computational camera is selling at half price: $1,099.99 instead of $1,950 with three more purchasers needed to get that price at Massdrop. I have seen a few other websites also pushing big discounts on the L16. I will not be surprised if Light gets acquired or even worse. I doubt that this L16 sale is triggered by an upcoming new model. This entry was posted in Deals and tagged Fuji X-T2, Light L16 camera. Bookmark the permalink. Trackbacks are closed, but you can post a comment.